Hello there and congrats for the excellent work on TCMW. Well, DEFINATELY we need a lean like TCE. There is no game on this planet that have a lean that could get even close to the lean on TCE. Coroner did mention portal scopes are not possible in the CoD 4 engine. 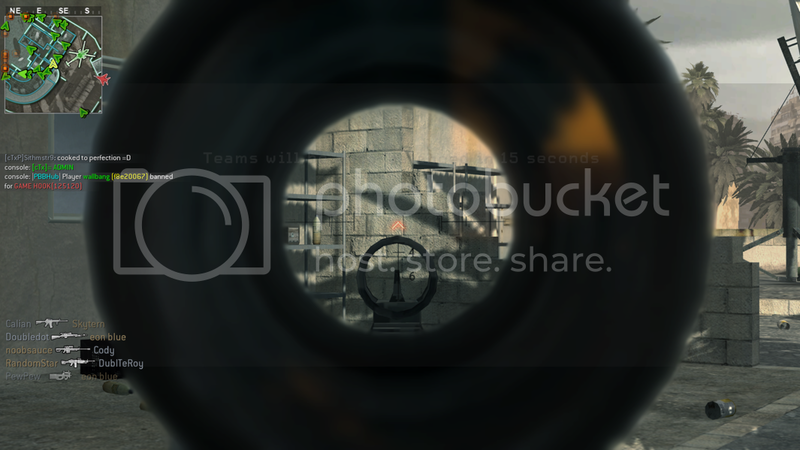 ACOG has a little zoom and don't turn screen to black. So it's possible to use the ACOG base code to make Sniper Sights with bigger zoom value. Hello folks. I'm back after more than 7 years. I'd like to know how to install this game. Is there any good howto or guide for ubuntu 12.04/13.04? Thanks and great work in resurrecting TCE. The Famas model seem to have a little fail. 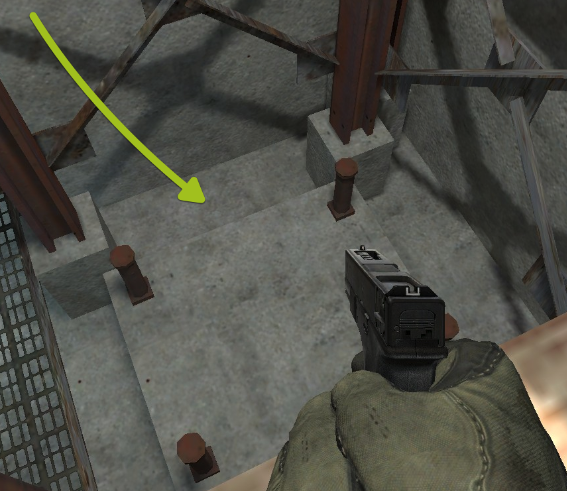 When aiming it's possible to see it, but when non-aiming it's still there but hidden by some metal stuff. FiveSeven and Glock have some targeting troubles. When aiming, to shoot the head you must target the chest of the enemy. The ping display (tab) doesn't seem to be working on any server i visit. It always shows as 999, even on other players. I just discovered one thing. Some Primary weapons use the same ammo type as the side weapon, which makes possible to use the Side weapon ammos on the Primary Weapon. Extended over-powering of that thing is the Extra-Ammo Clips which gives x2 ammo counts. The MP5 and UZI are using 9mm rounds. I'm going to try other weapons to see if there are others which are in that case. Maybe will it be possible to have a "Debug" version of MWTC, which render the current ammo count + total ammo, and basic cod4 HUD to see thoses things ? So here is my testing tab. Some result can be unaccurate, I may have done some error cause some weapon shot realy fast, and maybe there is other bugs. About the last thing I posted. I tryied the base CoD4 game to see if it was a base game trick or not. This mean it will be hard to change that thing. If I can help in anykind of programming just PM me. FiveSeven using 9mm? In what damned world do we live in? The FiveSeven even gained it's name from the ammunition it uses, being 5.7x28mm.